If you are looking for cutting-edge, bespoke, mobile-friendly, database-driven web applications – that’s exactly what we do. Our development team creates business apps and web database solutions that deliver a secure, ‘anywhere, anytime’ user experience at a reasonable price. 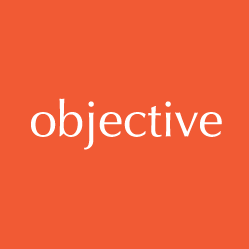 The people at Objective IT remain friendly, efficient and responsive and after nearly a decade of working together I am really pleased that I chose them as my web app development partners. Patrick Walkington, Managing Director, Gainsmore. What Do You Want From Your Web App? There are many B2B interactions and internal processes that can benefit from web app development. Whether it’s an application that’s designed to communicate with your staff or clients, or it’s a white-label web product you plan to resell, our experienced Microsoft .NET development team can build a bespoke app that works the way you want it to. You can be confident that your web app or web database will provide a great user experience. Simple navigation. Easy access. Up-to-date information. We’re the first port of call for companies that want to streamline and mobilise their business processes. Naturally you need your web app to be mobile-friendly. Responsive design allows your web app to be viewable on small mobile screens and ensures that it works well with touch screens. By using a fluid layout along with media queries to alter the design and the template of a web app, Objective IT can ensure your app looks just as professional on a Microsoft Surface as it does on an iPhone. We will also ensure that file sizes are kept to a minimum so that whether your staff or customers are using Wi-Fi or 3G, or 4G, your web app will load seamlessly.